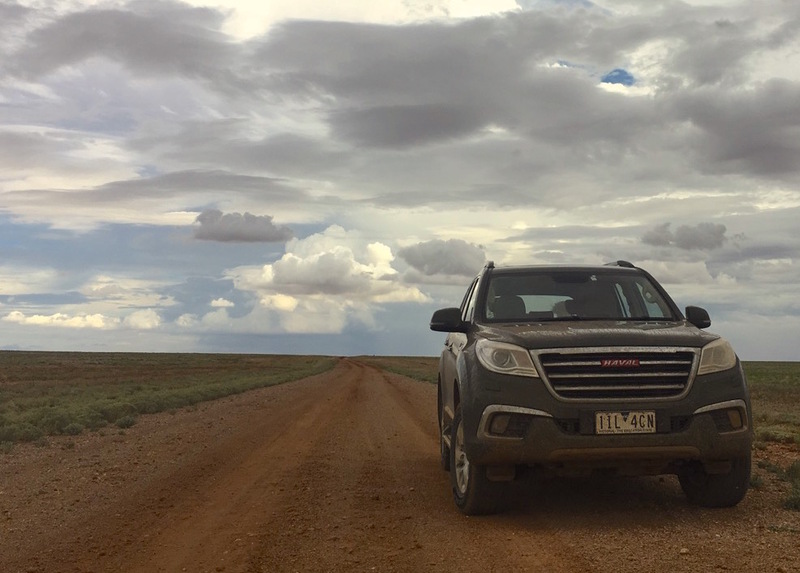 Ivanohe on the dirt road straight out of Tibooburra: a storm is brewing on the horizon. 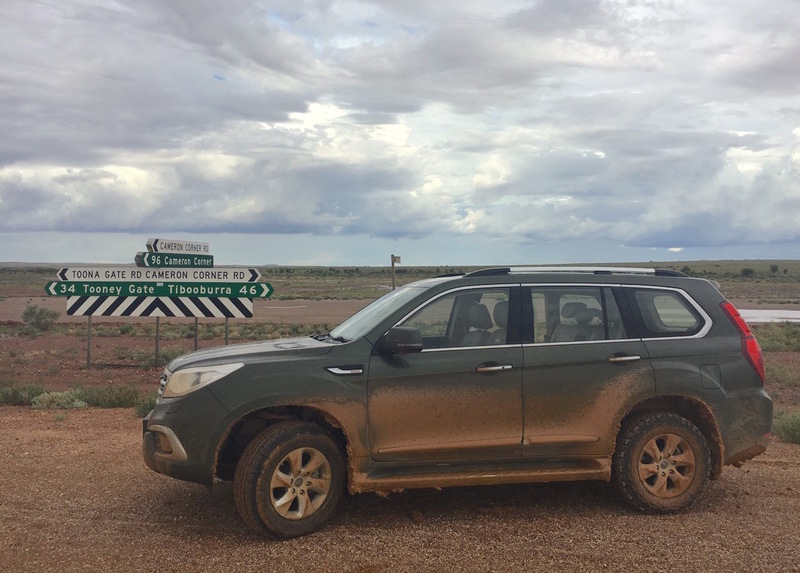 As we leave Tibooburra with two bungee straps holding half the underbody protection that dislodged itself in the last post of this series, we can see a storm is brewing on the horizon. We can only hope our itinerary won’t cross its path. It would turn out the storm affected the road we are taking, just not at the same time as us. We need to stop a couple of times over the first 20 km to check on the bungee straps that are getting smashed by the muddy terrain we are crossing. It doesn’t look like they will hold up until Cameron Corner. Ivanohe posing and getting a bit of dirt on its sides. 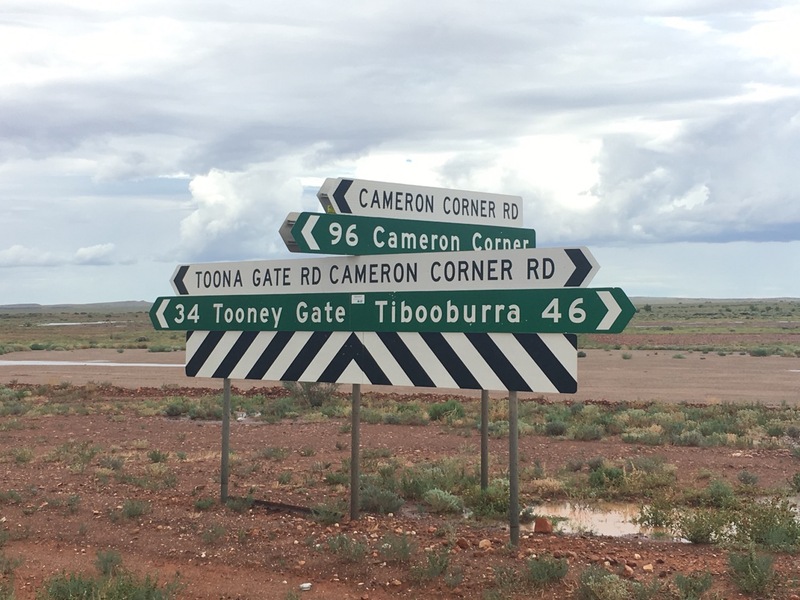 46 km away from Tibooburra, we come to an intersection that leads to Tooney Gate or continues on to Cameron Corner via the aptly-named Cameron Corner Road. 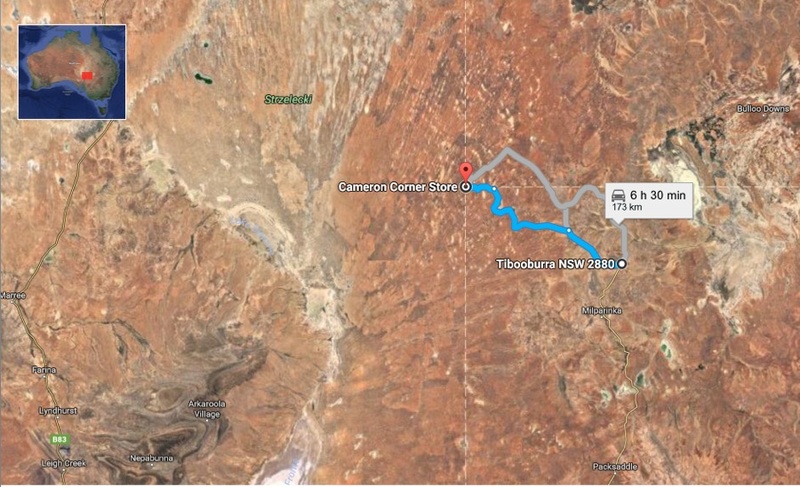 Turns out Cameron Corner isn’t 173 km away from Tibooburra but a mere 142. Too easy! Except we are now coping the effects of the storm mentioned above and the track is getting muddier by the minute. We are now in fill mud mode the whole of the time. We stop again to check the bungee straps: one has disappeared and the other one is totally dislocated and destroyed. What to do? 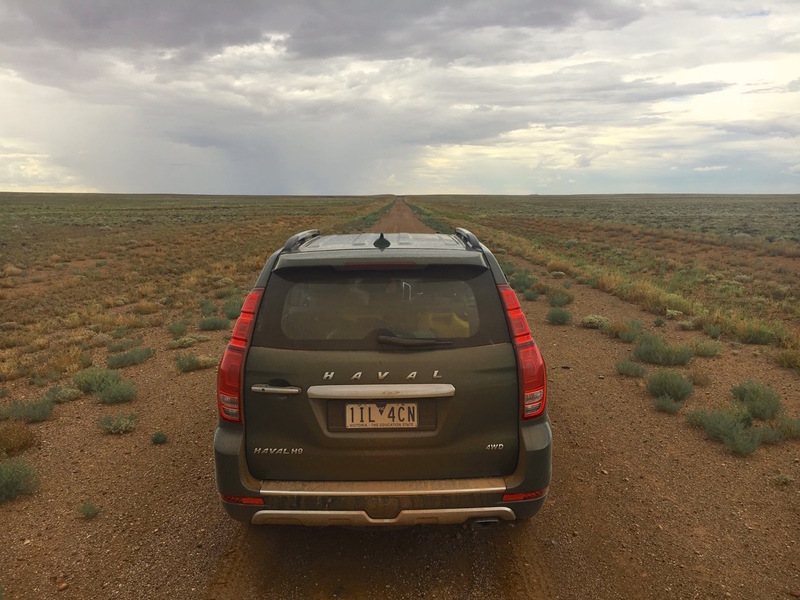 Do we retrace our steps and spend the night in Tibooburra or do we push through and hope for the best? We decide to do the latter (but I have a feeling you knew this already). 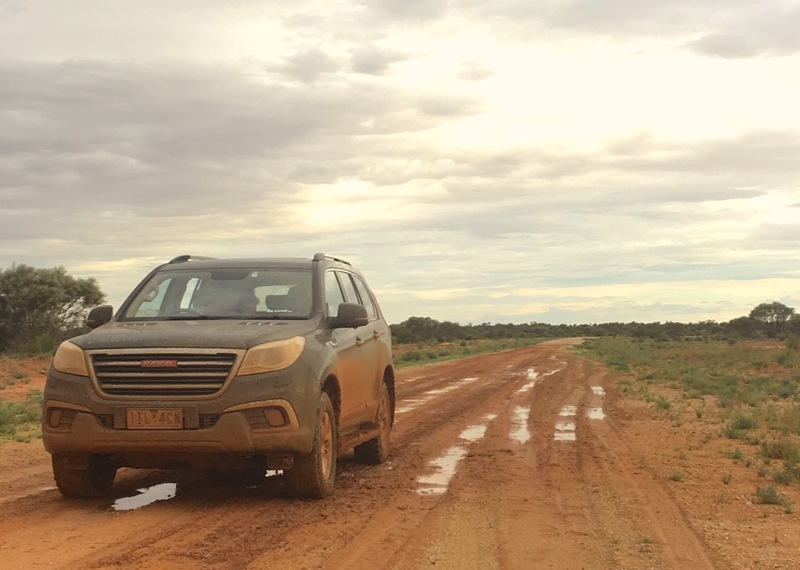 The flooded clay pan has us thinking twice before continuing. We have passed the flooded clay pan! 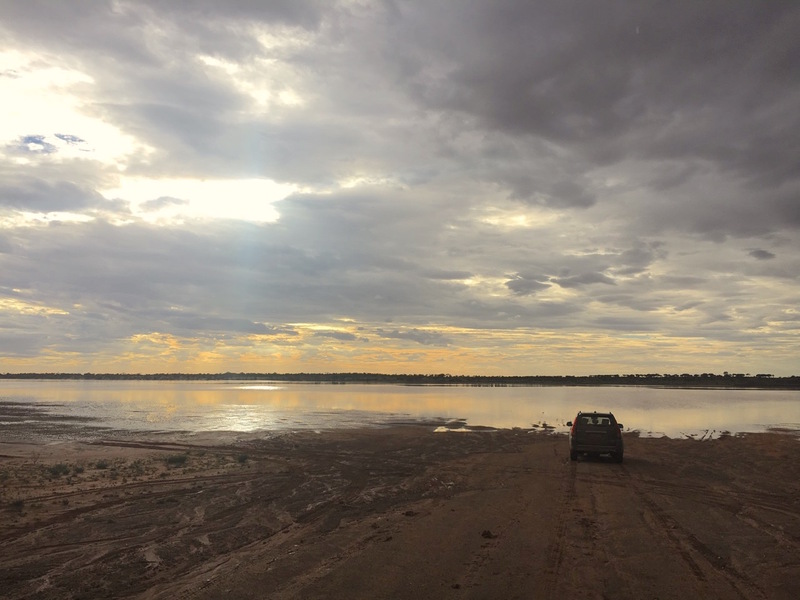 Just before coming to the flooded pan, we had noticed an alternative option in the form of a track seemingly taking a left turn to contour the pan a few hundred metres back. Now this is the real test for Ivanohe our Haval H9. Fresh muddy ruts abound but the car goes through every single one of them with ease. We breathe a sigh of relief when we are able to connect back to the main track as pictured above. We have decided to let nature do its thing and capture our underbody protection. We will need to be extra careful for rocks in order not to damage anything underneath the car. It is now 7:30pm and the sun is setting. 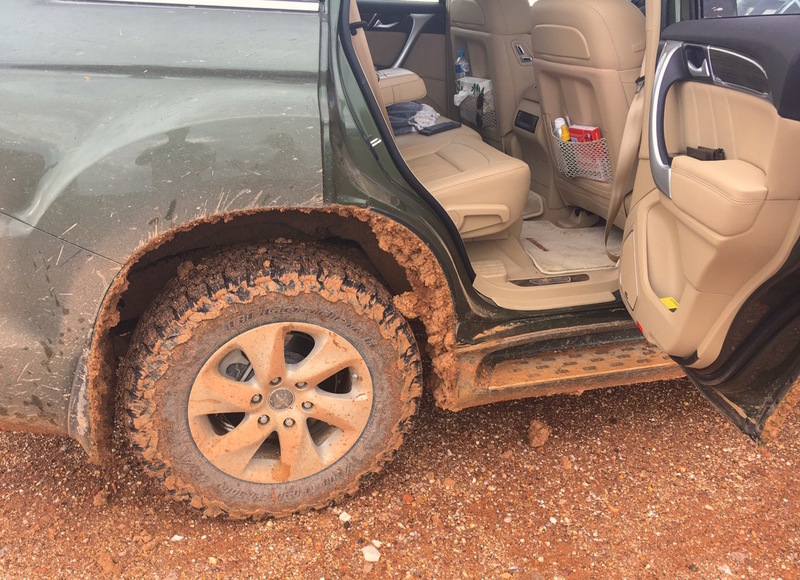 Just as we thought we were in for the last straight, we come across a bogged down truck – it would end up being the only vehicle we passed between Tibooburra and Cameron Corner. We must stop to help, as we would expect the same if it was us that were bogged down. We spend the next couple of hours helping, notably by placing dead wood under the wheels, repositioning it at each attempt. We even used Ivanohe to link and give direction to the truck as it was trying to get out of the side of the track, in vain. 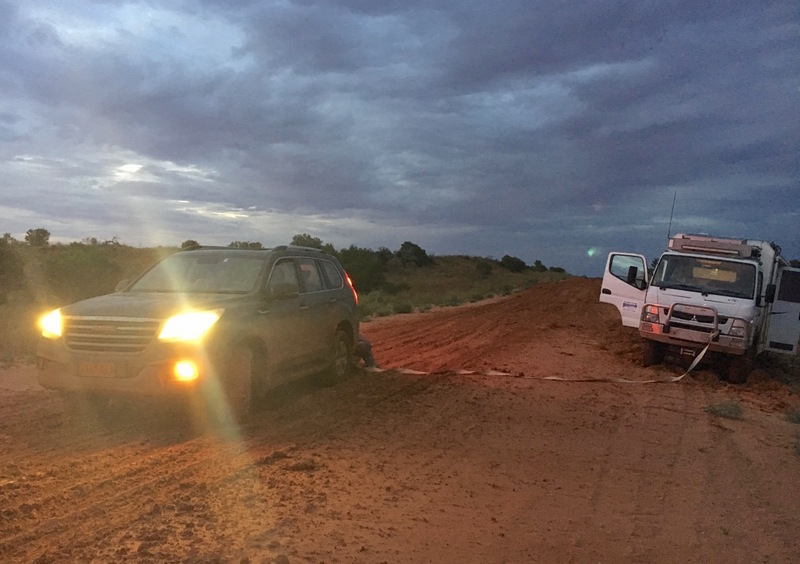 Note we did not actually try and tow the truck as it was way too heavy for Ivahoe our Haval H9 to pull. We leave the poor bloke for the night as he assures us he’s got everything he needs. It is quite a sizeable truck and he assured us he can sleep in and wait for the muddy track to dry out by tomorrow. We encountered this little fellow right before reaching Cameron Corner. Stay tuned for the next episode of this series in Cameron Corner. Good to see you made it, Matt! 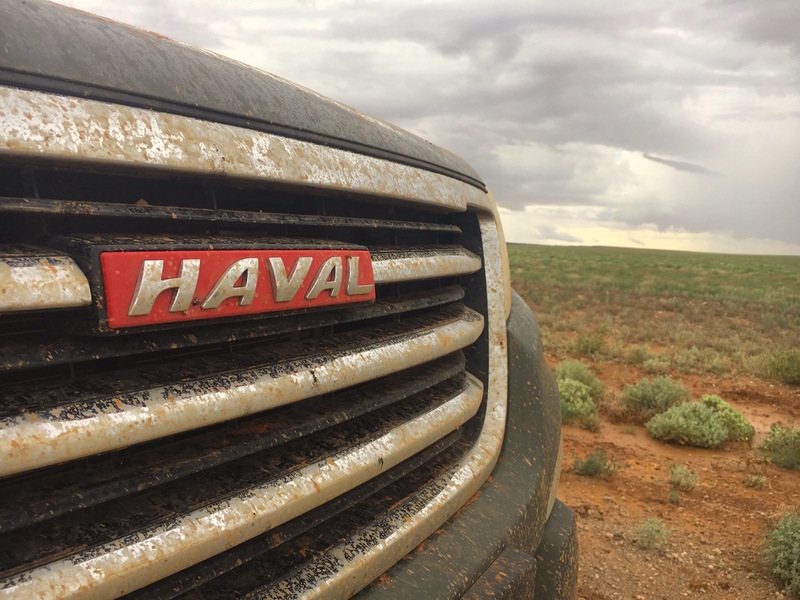 Did you end up using the low range on the Haval at all, or did you get by with just the 4WD “modes”? Thank you! We only used the 4WD modes, mostly mud for now but also sand in the next few days.